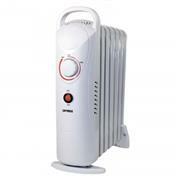 The Optimus 700-Watt Portable Electric Oil-Filled Radiant Heater has automatic thermostat control for comfort. 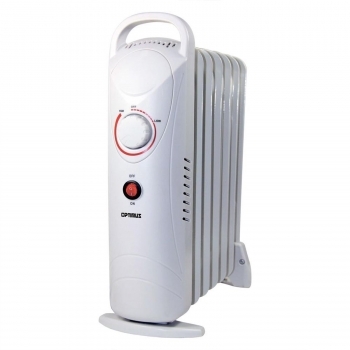 The built in Overheat Protection device lets you operate the heater in safety. This lightweight heater makes for the ideal portable heater. * Heats up to 150 sq. ft.